22 No Awana -Happy Thanksgiving! 27 No Awana – Merry Christmas! 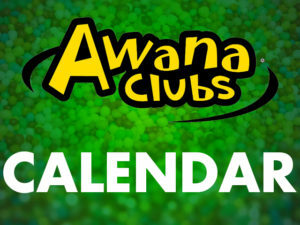 Jan. 3 No Awana – Happy New Year! 11 Canned Food Service Project! 25 Last night for sections and more Water Fun!